Buying a new piece of jewelry is exciting. You get lost in the sparkle and admire the way it graces your finger or lays just right across your collarbone. You might think beyond the initial excitement to the cost of the piece, considering it’s likely to be a decent investment. But do you think any farther ahead than that? We think you should. Jewelry appraisals, anyone? If your jewelry’s value was overinflated, you could spend more than necessary to insure your piece. Or, the reverse could mean you’re underinsured and may incur additional out-of-pocket expense to repair or replace jewelry that becomes damaged or lost. Insuring your jewelry for its current retail replacement value is vital to repair or replacement. It substantiates proof of ownership in case your jewelry is ever stolen and recovered by police. An up-to-date appraisal keeps record of the current value of your piece, in case you wish to sell it in the future. Whichever reason compels you, you’ll need to know some basic terminology and industry guidelines to ensure you’re getting an appraisal from a qualified source. Unless you’ve worked in the jewelry industry or are a seasoned jewelry purchaser, the terminology surrounding various documents that assess your jewelry is confusing. A point-of-sale document, like a receipt or purchasing agreement, typically only provides a one- or two-line description and the retail value of the jewelry. A diamond grading report is most often used when buying an engagement ring. It tells you everything you need to know about your diamond – essentially the 4Cs. 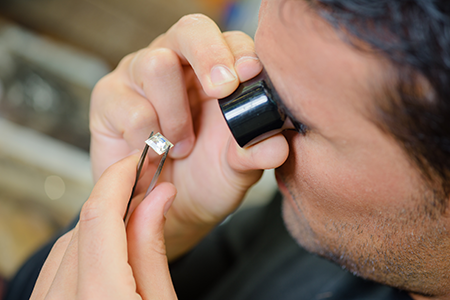 A jewelry appraisal assigns value to your entire piece, taking into account the setting and any stones. A replacement value appraisal details the cost to replace the jewelry with an item of same kind and quality – the current market price. A comparable replacement value appraisal does the same, but for items no longer available. This is often used on estate pieces and antiques. A fair market value appraisal is based on what price a willing buyer and seller would agree upon. This type of appraisal is used for estate settlement, tax liability, and other legal matters. For new purchases, you’ll want to get a fully detailed replacement value appraisal. A competent professional appraiser will charge for services by the hour or a flat fee per piece. Fees should never be based on percentage of the value. Any fee that is based on a percentage is considered unethical because incentive exists to inflate the value to collect a higher fee. On average, hourly rates range from $50 to $150, but it depends on the complexity of the piece. There’s laboratory work involved to inspect and gather facts about the piece, as well as market research to compare like pieces and the actual writing of the appraisal. As with many other skilled services, you get what you pay for with an appraisal. If you’re offered a very low fee, you know the saying: It’s probably too good to be true. Jewelry appraisals are often overlooked or pushed back until later – but that puts you at risk for not having an accurate appraisal in the case of the unexpected. If you’re in need of an appraisal, we recommend American Gem Society and the National Association of Jewelry Appraisers for a list of appraisers by state. 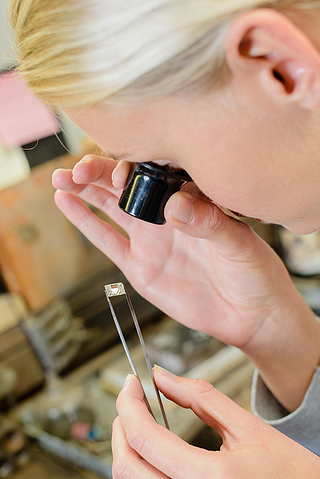 These organizations hold their appraisers to the highest standards of excellence, requiring specialized training in jewelry appraising and continuing education each year.